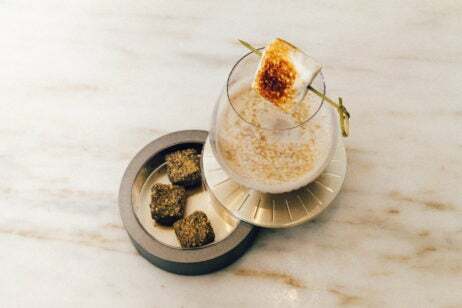 The brand-new cocktail menu at Gallery Hotel Art is inventive and over-the-top with a dash of whimsy. On the Flabelium signature cocktail menu you’ll find the #MessageInTheBottle cocktail with savory notes and unexpected ingredients (looking at you, miso soup). Nevertheless, allow the skilled mixologists at the bar whip up a drink for you, though if you’d like to try your hand at home, be our guest. First mix the pumpkin purée with cardamom, miso, a dash of Sriracha, salt and citric acid. Then, add it to Pisco Tabernero and stir. Add ice as needed and garnish with paprika and rosemary. 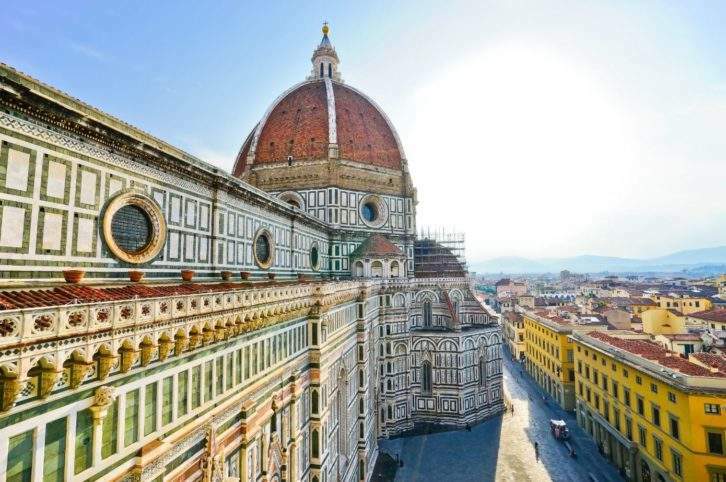 Make the most out of your stay in Florence by booking the Gallery Hotel Art’s Penthouse Suite. The 1,200-sq-ft space has panoramic views over the city and is spread over two floors with connecting terraces. The terraces overlook the Piazza della Signoria and Palazzo Vecchio – lounge outdoors while basking in the sunlight before embarking on a day’s worth of sightseeing.